Two questions we get asked a lot. Now that the business has been up and running for almost a year we are seeing an increase in the number of valuations to which we are being invited. Two questions seem to arise at almost every valuation we attend and so we thought that it would be a good idea to write a post setting out the questions and our answers to them. If your fee is fixed, what incentive do you have to sell my property at the best possible price? The simple answer to this is that, as a relatively new business that is building its market share and does not have its name emblazoned across a high street office, it is critical to us that we leave our customers delighted by the experience of dealing with us so that they will recommend us to others. This is our principal incentive to achieve the best possible price for the buyer. We are, to some extent, in a better position to do that than conventional high street agents. The reason for this is twofold. Firstly, we do not have an internal commission system. By this I mean that a buyer, when he registers with us, does not “belong” to any particular sales negotiator. Therefore there is no incentive on anybody within the Company to recommend the offer of one particular buyer over that of another. In a conventional estate agency each sales negotiator has his own buyers. If one of those buyers is successful in buying a property then the negotiator to whom that buyer “belongs” will get the negotiator’s commission and the other sales negotiators are left empty handed. It is clear to see that, in this situation, there can be a temptation to get the seller to accept an offer that is best for the particular sales negotiator rather than best for the seller. Secondly, conventional estate agents often receive ancillary fees from the providers of services, such as conveyancing or financial advisory services, that they recommend to buyers. Given this, it may be more financially lucrative to an estate agent, even if he is working on a percentage fee basis, to recommend or favour a lower offer if that offer comes from a buyer in relation to whom the agency is likely to get ancillary commission from a solicitor and/or a financial advisor. As the estate agent’s allegiance should be solely to his client, the Seller, the scope for a conflict of interest to arise here is clear and was pointed out by the Office of Fair Trading in its 2010 Market Study of Home Buying and Selling. At No-Flies we do not receive commissions from third parties in respect of ancillary services that we recommend to buyers and so no such conflict can arise. Do you have a large database of prospective purchasers for properties at this level? The number of potential buyers registered with a particular estate agent is often used by them as a selling point when they attend a valuation for a property. Certainly historically, when people conducted their property searches by walking up and down high streets and registering in person with some or all local agents, the size of an estate agent’s list of buyers was crucial. Indeed, as we discuss in another blog post, historically particular agents could corner the market in a particular type of property because having a track record of selling such properties meant that suitable buyers tended to register only with those agents and didn’t register with agents that tended not to be instructed on such properties. However, the situation today has changed dramatically. The arrival of the internet and the online property portals, such as Rightmove and Zoopla, means that buyers no longer need to focus on one or two selling agents. Through the property portals a buyer can, and does, get access to all properties that meet his or her search criteria, irrespective of which agent is selling them. Today it is rare for a buyer to concern himself with which agent is marketing the property (unless of course that agent has developed a reputation for poor service or dubious business practices) and even after registering with several agents, a committed buyer will be checking, and receiving search updates from, Zoopla and Rightmove several times a week if not daily . 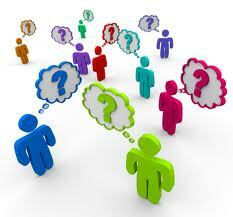 So the answer to this second question is that we do have a database of potential purchasers. It may or may not be as big as those of other more established agents (we simply do not know). However, it is almost always the case that the person who purchases property through us has done so as a result of responding to the property advertisement on Zoopla or Rightmove and not because they were already registered with us. Indeed, this is as it should be. Your best way of ensuring you get the best price is to ensure that your property is seen by the largest number of people possible. In the days of online property portals an estate agent’s database of prospective buyers is, save in very limited circumstances such as extreme urgency or development land, becoming less and less important.